Show us how tires are the real heroes behind a happy journey! Tires are the unsung heroes of modern transportation yet they are extremely important. They protect us from the bumps on the road, cushion our rides, allow us to brake and steer safely and support our vehicles and their passengers. Tires make our vehicles more comfortable, safer and allow us to go wherever we want. That brings joy and fulfillment to our lives. Tires work tirelessly to support us through the ups and downs. Yet we take them for granted. No one talks about them. Can you highlight their role and bring them into the spotlight? 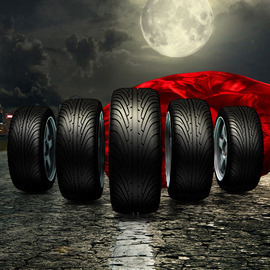 Through a poster, show us how tires are the real heroes behind a happy journey, by supporting our lives and enjoyment no matter what happens on the way.